Our 1st annual STEM Industry Summit was held on June 9th and was attended by over 45 people representing 23 STEM companies in and around the Triangle. The primary goal for the summit was to create a space to share challenges and successes of a company based STEM outreach initiative. 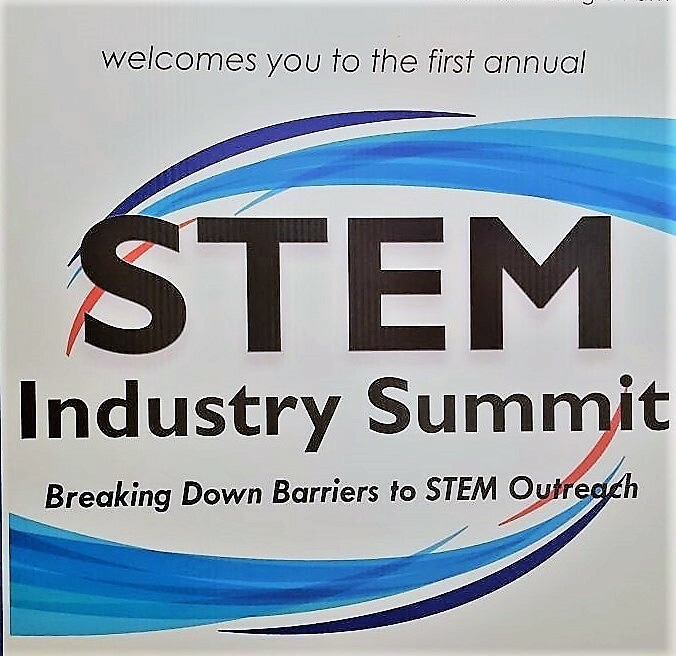 The event included a panel discussion, breakout sessions by STEM outreach experience level and by STEM outreach activity type and also a Speed Meet with fellow STEM industry colleagues. The panel, with Scott MacConnell of SAS, Darrell Kain of Project Lead the Way, and Dr. Eric Wiebe of NC State University, offered an eye opening reality check into the gap between the present workforce and the hope of a more prepared and diverse STEM workforce for the future. Topics of discussion included the tackling the rural and urban divide, providing infrastructure for student and educator exposure and the role of STEM companies to aid in facilitation of those opportunities to students all around North Carolina. Kristen Thompson (Fidelity) and Sarah Windsor (STEM in the Park) presented on how to overcome common hurdles such as ‘Employee Engagement: Becoming involved Community’, ‘Connections: Finding the right opportunities’ and ‘Company Culture: Selling the value’ to start and expand company STEM outreach programs. Amanda Marvelle (Biogen) led a discussion that encouraged company representatives to think more about quantifying and measuring programs and how to leverage data for legitimacy. In addition to focusing efforts on attainable, measurable goals and understanding that each company has their own style and needs. Megan Zeishner (Cisco) discussed with her group how to design a hands on learning session that highlights company concepts or technology. Participants left with ideas on how to direct students of many different ages to say engaged after the single event interaction. Brett Brenton (Research Triangle Foundation, formally with STEM in the Park) gave an overview of how to Speed Mentor. This session dove into how a short amount of time can be used to engage students and employees into a rich discussions such as daily life for a STEM professional to mentees future aspirations. Kelly Witter (Environmental Protection Agency) spoke about steps to action for companies to engaging themselves further in STEM outreach in schools. Companies learned that building relationships, meeting community needs and having a good understanding of inventory the expertise, skills, and availability of the company’s employees aids in a successful school outreach program. We hope that this is just the beginning of a conversation where STEM companies, who are competitors in the market, can be colleagues in outreach, with the ultimate goal of encouraging all students to be the next generation of diverse and qualified STEM professionals. For more information about the Summit, please email Sarah Windsor at windsor@rtp.org.